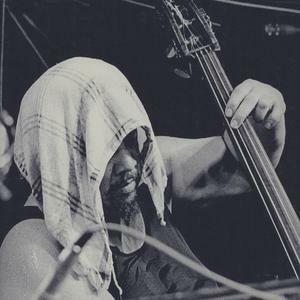 Charles Mingus (22nd April 1922 ? 5th January 1979) was an American jazz bassist, composer, bandleader, and occasional pianist from Los Angeles. He was also known for his activism against racial injustice. Mingus' legacy is notable: he is ranked among the finest composers and performers in jazz, and recorded many highly regarded albums. Dozens of musicians passed through his bands and later went on to impressive careers. Mingus' legacy is notable: he is ranked among the finest composers and performers in jazz, and recorded many highly regarded albums. Dozens of musicians passed through his bands and later went on to impressive careers. His songs - though melodic and distinctive - are not often recorded by later musicians, due in part to their unconventional nature. Mingus was also influential and creative as a bandleader, recruiting talented and sometimes little-known artists whom he assembled into unconventional and revealing configurations. Nearly as well known as his ambitious music was Mingus' often fearsome temperament, which earned him the nickname "The Angry Man of Jazz". His refusal to compromise his musical integrity led to many onstage explosions, though it has been argued that his temper also grew from a need to vent frustration. Ironically, a perfect show could irritate him by closing this outlet. Mingus was prone to depression. He tended to have brief periods of extreme creative activity, intermixed with fairly long periods of greatly decreased output. Most of Mingus's music retained the hot and soulful feel of hard bop and drew heavily from black gospel music while sometimes drawing on elements of Third Stream Jazz and free jazz. Yet Mingus avoided categorization, forging his own brand of music that fused tradition with unique and unexplored realms of jazz. Mingus focused on collective improvisation, similar to the old New Orleans Jazz parades, paying particular attention to how each band member interacted with the group as a whole. In creating his bands, Mingus looked not only at the skills of the available musicians, but also their personalities. He strived to create unique music to be played by unique musicians. Due to his brilliant writing for mid-size ensembles - and his catering to and emphasising the strengths of the musicians in his groups - Mingus is often considered the heir apparent to Duke Ellington, for whom he expressed unqualified admiration.